A very good summary of how not to get lost in the weeds! Power tools are very efficient at spoiling material as Mike says, I can vouch for this! I can’t wait for the DVD to come out, going to put my bench on my covered front patio. Its not where you work its how you do it. Woodworking does not have to be an expensive hobby. It can be, but it doesn’t have to be. 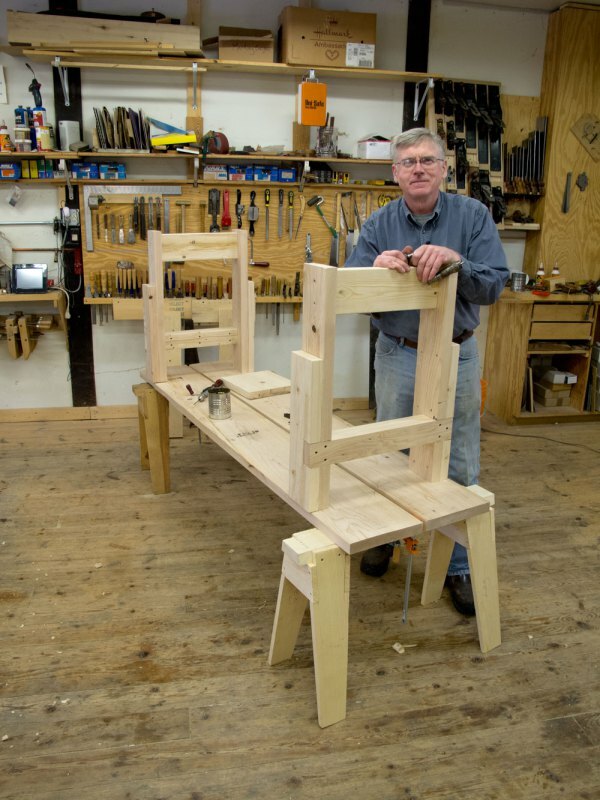 A simple workbench can be built in a day with hand tools for about $100. Many tools can be picked up at garage sales and at tool meets. Online auctions or classified sections of woodworking lists such as WoodNet are another great source, as are Craigslist and e-bay. Do you really need stationary equipment for your hobby? Machines can be expensive – moving them, getting your shop wired, dust collection and etc. will add up quick. Many times it is quicker to do something by hand than to set up a machine or design jigs for machines to do the job.